Using decoys is a great way to directly influence deer behavior and bring them within range to take a well-placed shot. 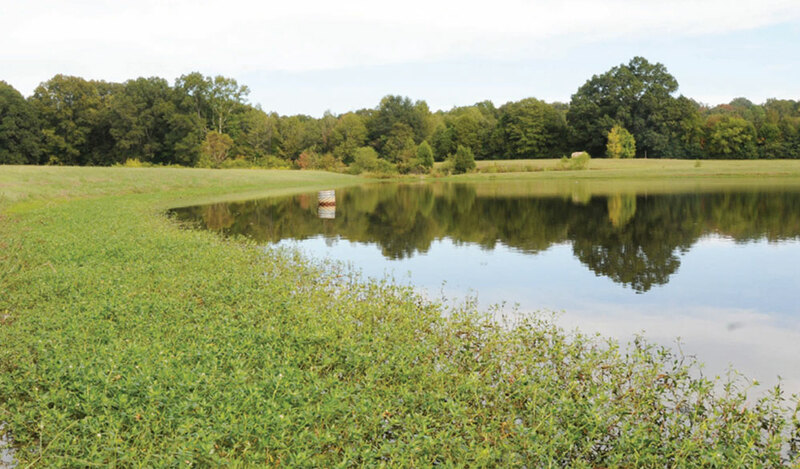 However, misusing decoys either limit their effectiveness or cause deer to avoid the area. It might seem obvious but a decoy won’t work if you don’t actually use it. However, for one reason or another, this is one of the most common mistakes that hunters make. Some hunters might pack a decoy but feel like a spot doesn’t suit using a decoy when they arrive and others might forget to pack the decoy. There are also hunters who used a decoy once but didn’t see results and who now think they don’t work. Deer decoys are effective when used correctly. They are usually quite light, so not packing and using one exposes you to missed opportunities. Have a decoy handy on any hunt and deploy it often to maximize your chances. If it didn’t work for you in the past, remember decoys aren’t foolproof and bucks can sometimes see through them. A buck can’t respond to a decoy if he doesn’t see it, so make sure you set your decoy up to make it visible to passing deer. Study the lay of the land and position your decoy so it remains visible from wherever traffic seems most prevalent. During the rut, be prepared to position your decoy more unconventionally. You might typically place a decoy along a high-traffic corridor outside of the rut, but that might change when the bucks start to chase females. Rutting bucks don’t always follow the same paths they’d typically use. The elevated testosterone levels might influence them to diverge and take shortcuts in search of estrus does so position your decoy for maximum visibility during this period of the season. Deer decoys come in a variety of shapes, sizes and styles, and using the right one can spell the difference between a successful hunt or severely hampering your chances of seeing a buck. Consider the conditions of your hunt and choose the most appropriate decoy that fits those conditions. For example, during the rut, estrus doe and young buck decoys are typically the most effective for luring in a buck. Estrus doe decoys attract potential suitors, and young buck decoys pull in mature bucks that want to assert their dominance over their territory. Outside of the rut, however, these types of decoy can seem out of place to wandering bucks, making them wary of their presence. To attract the attention of bucks outside of rutting season, observe their behaviors and try to determine what they’re looking for. If they’re trying to find other deer to feed with, set up a feeding doe decoy. If they’re more interested in socializing with other deer, try your luck with a decoy set up in a bedded position. Finally, when attempting to lure dominant mature males with a buck decoy, consider how intimidating your decoy might be. 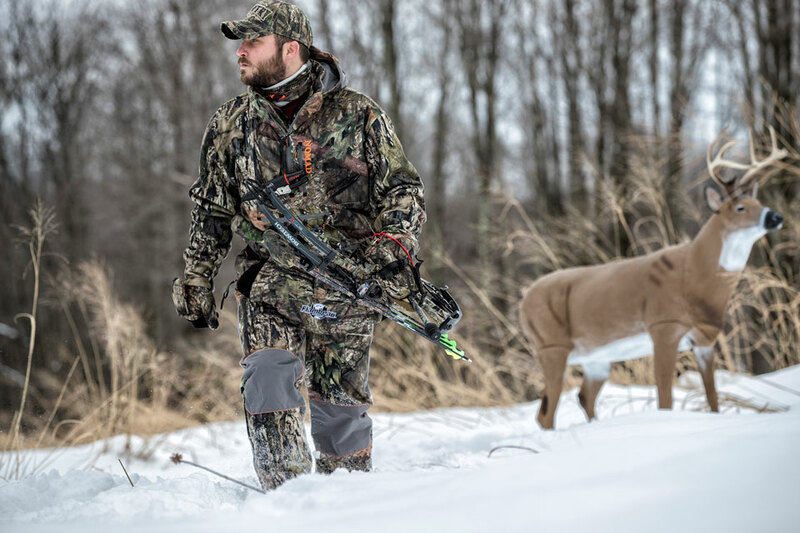 Avoid decoys that are too large and scary, which cause some bucks to try to find an area where they might have a better chance of asserting their dominance. Using a deer decoy is as much about faking the experience of a real deer as it is about giving bucks something visual to react to. If the buck or doe decoy doesn’t seem to act the same way a real-life deer might, an approaching buck is less likely to commit to coming much closer. To sell the illusion of a real dear, use a call to make it appear more realistic. But be extra careful to use the right call. For example, a bleating estrus doe call might seem out of place during the early season, which can cause bucks to avoid the area. Similarly, match your call to the type of decoy you’re using. Using a grunting buck call with a doe decoy might set off alarm bells and cause your quarry to flee. When using a young buck decoy during the rutting season, you can also add more realism to the scene by using scraping and rustling sounds to simulate a buck scratching off velvet from its antlers. Battle racks and fast grunting can also create the illusion of bucks butting heads over a territory, which might also draw other bucks in. As the season progresses, deer become warier of foreign scents that might signal the presence of hunters. If such scents get on your decoy, then it might drive bucks away rather than draw them in. 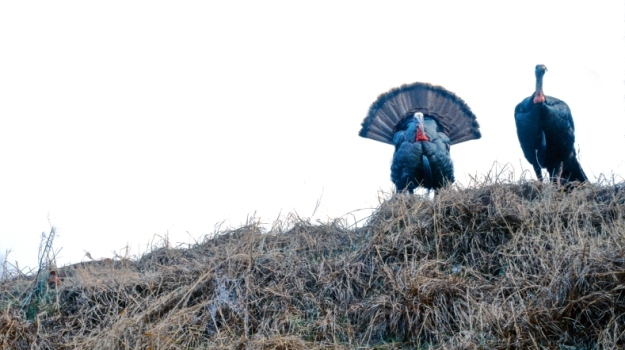 When using a decoy, practicing good scent control is an absolute must. Regularly spray decoys stored away during the offseason with a scent-removal product. 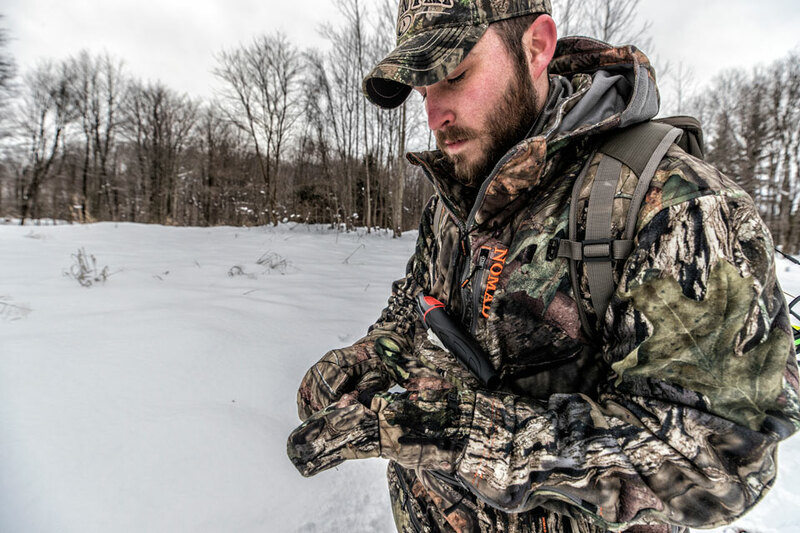 Always pack your decoy in a scent-control bag before use and handle it with latex gloves to avoid contaminating it. Similarly, use scent-free boots to keep from leaving scents on the ground around your decoy that might tip deer off to your presence. While keeping your deer decoy free of unnatural scents is important, making sure it smells natural is just as crucial to luring in a buck. A deer without a scent raises red flags, and it might cause the most mature and sought-after bucks to steer clear of the decoy. In fact, many older bucks might try to circle around to the downwind side of the decoy to check for scents before committing to an approach. When applying scents, don’t spray the scent directly on the decoy. Instead, spread it on the ground around your fake doe or buck to minimize contamination of the decoy’s body. This ensures your decoy stays scent-free so you don’t end up, for example, with a doe decoy smelling like it’s in estrus on opening day. A decoy on the field is useless if you position it too far out of range. When setting up a decoy, keep the range of your weapon in mind and factor in how much ground you’re willing to cover to close that distance for a clean shot. Setting your decoy up at around 15 to 20 yards from the base of your tree should give you enough space to keep approaching bucks from spooking while also giving you some margin of error to line up a hopeful shot in case the buck decides against coming closer. Additionally, be mindful of the position of your decoy in relation to the wind. If you’re downwind of your decoy, a buck attracted to its scent might detect you as it approaches from the same direction your stand is hanging from. A well-prepared deer decoy can improve your chances of ending the season with a buck tag to your name. 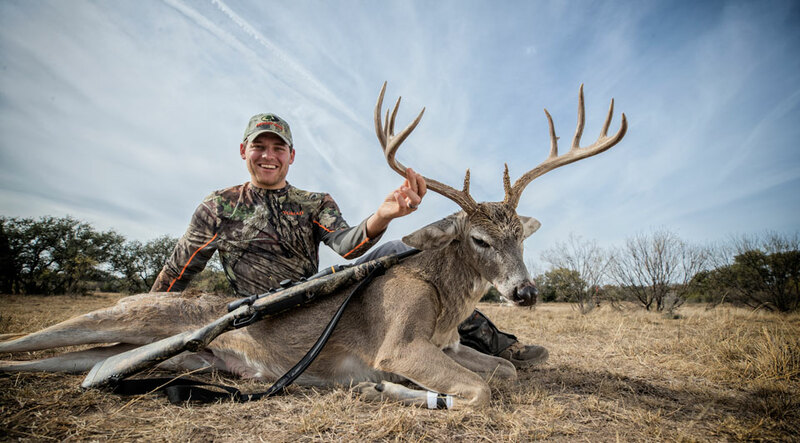 By keeping yourself from making any of the mistakes mentioned here, you should be able to attract more deer, giving you more opportunities to harvest a buck worth bragging about.